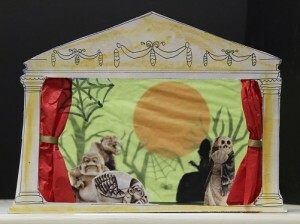 Make a mini stage-set complete with ghastly ghouls and scary skeletons. Then have hours of fun creating your own plays at home. Halloween costumes optional! Most suitable for over 5s; adults must accompany children at all times. Entry to the Holburne will be free for residents of B&NES, on production of a valid Discovery Card, for Museums Week – Saturday 27 October to Sunday 4 November. Auguste Rodin (1840-1917) was a collector and lover of the antique, and his sculpture was influenced by his admiration for classical art. 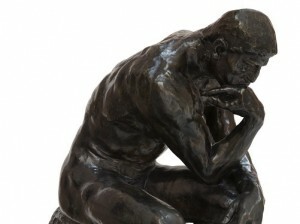 Alongside works from the British Museum and the Holburne’s own collection, this display will show The Thinker alongside historic works to reveal the importance of the fragment in creating Rodin’s modern sculptures. A British Museum Partnership Spotlight Loan. 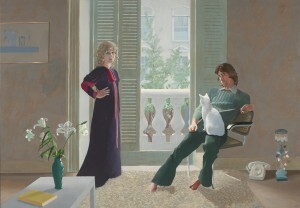 One of the nation’s most loved paintings, Mr and Mrs Clark and Percy is also one of the great portraits of British art. The image speaks powerfully to the eighteenth-century conversation pieces in the Holburne’s own collection as well as to the portraits of singers, dancers and actors in Gainsborough & the Theatre. A lunchtime talk with the Holburne’s Director, Chris Stephens, exploring portraiture in Hockney’s career. A screening of A Bigger Splash, the ground-breaking biopic of Hockney’s career. 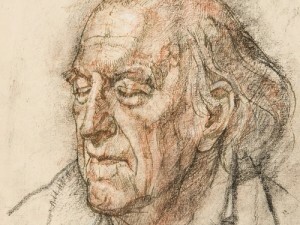 Enjoy a rigorous portrait-drawing class with renowned artist, Saied Dai. 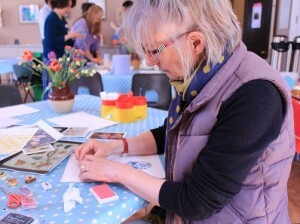 Inspired by Gainsborough & the Theatre this workshop is designed for those looking to establish a firm and intelligent foundation in drawing for a lifetime of creative practice. View Gainsborough’s naturalistic portraits and work from a life model (and fellow students) to hone your drawing skills. Please bring an A2-size cartridge paper pad, a selection of pencils and charcoal or Conte crayons, eraser, ruler and any other basic drawing instruments of choice. Enjoy two talks for the price of one as we celebrate our exciting new display, Rodin: Rethinking the Fragment. 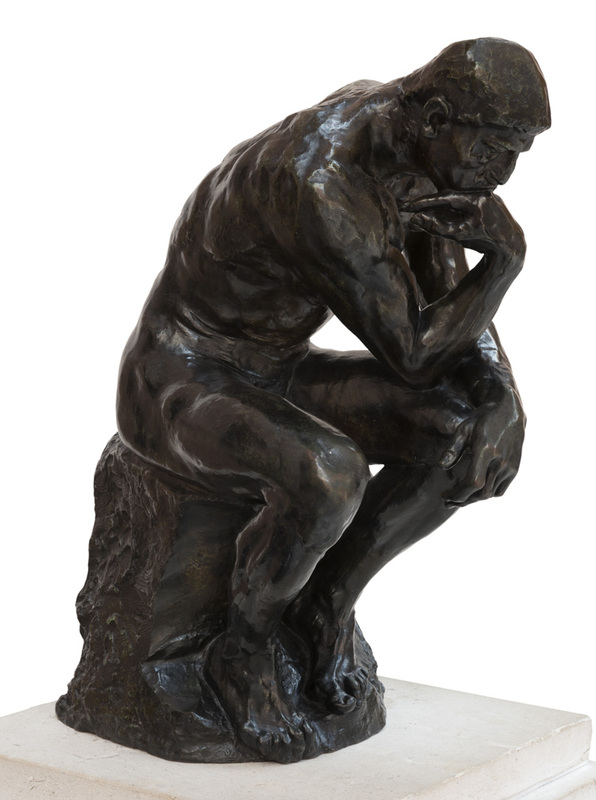 It is hard to believe that Rodin’s most famous sculpture,The Thinker, began life as a fragmentary form in his larger work,The Gates of Hell. 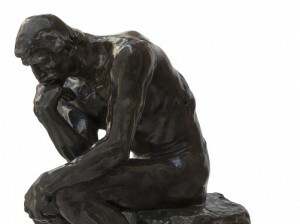 Curator of Rodin: rethinking the fragment, Barbara Vujanović, will discuss the meanings and history of The Thinker, from its classical sources of inspiration to its widely known status as a representation of thinkers and philosophers. In 1944, Sir William Burrell donated 9000 objects to the city of Glasgow. Included in this collection was one of the largest groups of works by Auguste Rodin outside of France. Join Pippa Stephenson as she explores Burrell’s interest in the sculptor, placing his taste for Rodin alongside other objects in his collection, and hear how Burrell’s appetite for Rodin fitted within the wider Scottish reception of the artist. Barbara Vujanović is Senior Curator at the Ivan Meštrović Museum Croatia. In 2015, she co-curated the retrospective of Rodin’s work at the Art Pavilion in Zagreb and, as a result of her participation in the British Museum’s International Training Programme in 2016, she was invited to curate Rodin: rethinking the fragment. She is currently undertaking her doctoral dissertation at Zagreb University on the classical elements in the work of Ivan Meštrović. Prior to joining Glasgow Museum in 2013, Pippa Stephenson was one of the first Curatorial Trainees for the National Gallery, London. Her research interests range from Frans Hals to Salvador Dali, and projects include investigating El Greco and 16th century Spanish Court portraiture with Glasgow University and the Prado, Madrid. For one night only, immerse yourself in the colourful world of the Sydney Hotel, the Holburne’s original manifestation in the late 1700s* and experience an eclectic mix of live music, dance and card games in our galleries. Sample gin cocktails in our ‘Pleasure Garden’ Café, pose for a portrait by our satirical illustrator, and dabble in the occult with our mystical fortune-teller. *The Sydney Hotel was built in 1794 as a gateway to the 18th-century pleasure gardens (the Sydney Gardens) where Bath ladies and gentlemen promenaded, danced and enjoyed breakfasts, fireworks and evening galas. 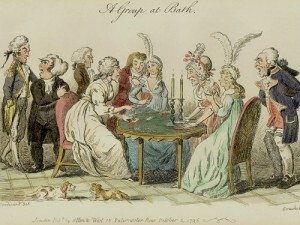 The Hotel offered daytime and evening dining, dance and gambling and issued all visitors with a silver token upon arrival. This night of Georgian jollity will raise vital funds for the Museum – so come along and bring your friends! Enjoy an afternoon of pantomime-themed Christmas creativity. 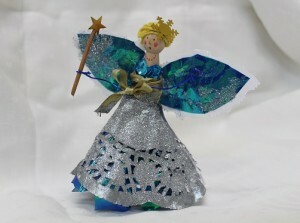 Make a fairy godmother for your tree, a Peter Pan snow globe and a Cinderella’s carriage table decoration. Come…and all your wishes will come true! Back by popular demand! Holburne Director, Chris Stephens will be delivering his recent sold-out talk on David Hockney in the last week of the painting’s display at the Museum. 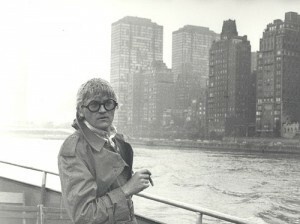 Holburne Director Chris Stephens, co-curator of last year’s record-breaking Hockney retrospective at Tate, will discuss the visiting masterpiece Mr and Mrs Clark and Percy by Hockney in relation to the rest of the artist’s career and to its position in the history of portraiture.